The WilliamsWarn BrewKeg10™ is the most recent award-winning product from WilliamsWarn, but, the BrewKeg range wasn’t the start of the craft beer revolution that has become commonplace around the world over the last few years. The WilliamsWarn® BrewMaster™ was launched in 2011 and is the miracle that beer drinkers have been praying for. After 5000 years of brewing, the technology finally exists to allow you to brew the perfect beer at home or at your workplace. Following the success of this product, the very cost effective BrewKeg™ range was launched in 2016 with the BrewKeg50™ and BrewKeg10™ which enables bars and restaurants to make their own beers and ciders on-premise and dramatically increase their profitability, while producing their own brand and style for their customers; to the BrewKeg25 and BrewKeg10 which makes the same, affordable, technology available to the home brewer to create world-class craft beer or cider at home. 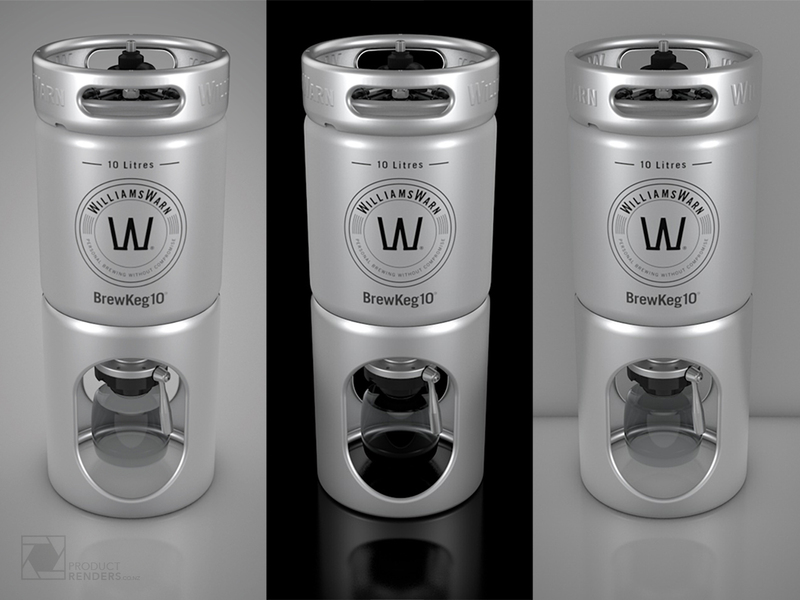 ProductRenders created the BrewKeg10 while the product was still in the later stages of development allowing for WilliamsWarn to product promotional marketing and advertising material well in advance of the shipping date. More about the WilliamsWarn brewing systems can be found here.